Anew study published by the Stockholm International Peace Research Institute (SIPRI) casts doubt on the feared rise of fully autonomous weapon systems making decisions on their own without human intervention. The report, Mapping the Development of Autonomy in Weapon Systems, aims to shed light on the current developments in autonomy in weapon systems and thereby provide important insights for informed international discussions. It was published against the backdrop of the first meeting of the Group of Governmental Experts on Lethal Autonomous Weapon Systems (LAWS) at the United Nations in Geneva. An open letter addressed to the UN signed by more than 100 artificial intelligence (AI) experts and led by Elon Musk, CEO of Tesla, which makes electric cars, warned of the dangers of “unregulated” developments in AI, saying it posed the gravest danger to humankind if left unchecked. The question of whether lethal autonomous weapons, or LAWS, should be regulated is the focus of an intergovernmental expert discussion within the framework of the 1980 UN Convention on Certain Conventional Weapons (CCW). “Autonomous systems need to be more adaptive to operate safely and reliably in complex conflict environments,’ says Dr Vincent Boulanin, SIPRI’s expert on emerging military technologies and the main author of the report. “Given the limitations of current technology, humans have to play the crucial role of receiver of tactical information and arbiter of targeting decisions on the battlefield,” adds Maaike Verbruggen, a PhD candidate at the Vrije Universiteit Brussel and co-author of the report. 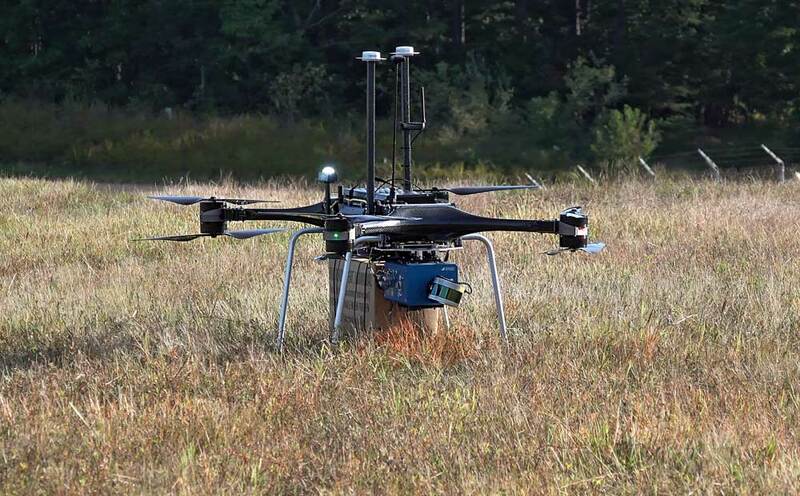 Most of the armed unmanned aerial vehicles that are operated by a select few countries are remotely piloted and backed up by a team of sensor operators and data analysts. Having a human in the decision-making loop is unlikely to change any time soon, says Boulanin. “Autonomy may transform the way humans interact with weapons, but it will never completely replace them,” he adds. But there are some areas—navigation, flight and obstacle avoidance—where full autonomy may make sense and enable missions to be performed more effectively. For example, a joint UK and US research programme is exploring how driverless trucks in convoy and Hoverbike drones could deliver supplies in the most dangerous “last mile” up to the battlefield. 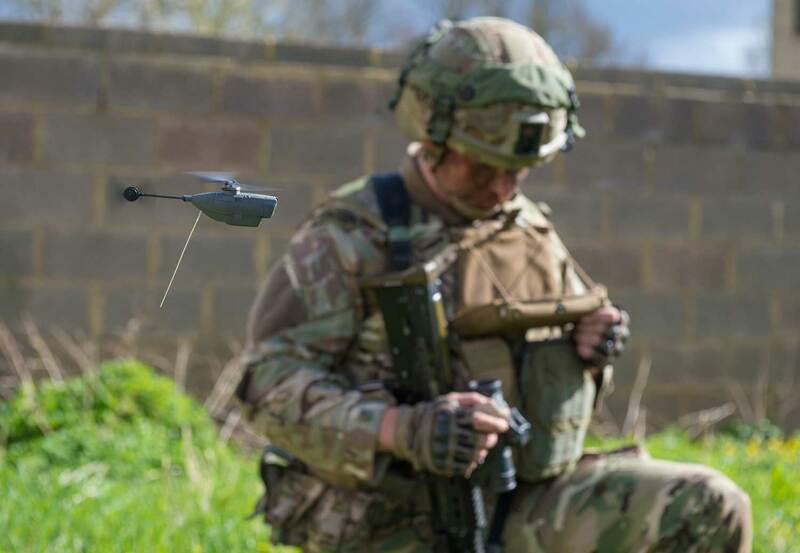 The UK-US coalition created a “semi-autonomous leader-follower convoy to bring to life concepts which will provide solutions to de-risk the last mile of logistics support.” In this context, autonomy is being used to try and save soldiers’ lives. SIPRI’s report highlights the need to demystify technological developments such as AI and machine learning so that how these technologies are likely to be used can be more clearly separated from “the realms of science fiction”. “Machine learning is a technological development that raises many concerns, and also causes confusion in the discussion on the future of autonomy in weapon systems,” says Boulanin. While militaries may not be in favour of handing all the decision-making over to a machine or weapon operating autonomously, there is an argument for AI and machine learning to be used to help humans respond more quickly to threats. A case in point is the advent of hypersonic anti-ship missiles, which are being developed by countries like Russia and China. “With speeds in the region of 2,000 metres per second, platforms will soon face an even greater threat: weapon engagements that are so fast, that traditional man-in-the-loop responses will be too slow to counter their deadly effect,” Paul Bradbeer, a technical sales manager in MASS’s Electronic Warfare Operational Services division, writes in the Summer 2017 edition of our magazine. One answer, says Bradbeer, is to draw on advances in machine learning (a form of AI) to move away from labour-intensive and time-sapping man-in-the-loop processes for initiating electronic warfare responses. In other words, machine learning could help the military more adequately respond to the decision-making challenges posed by "congestion, complexity and confusion in the EW space, which are only exacerbated by the threat of future hypersonic missiles," says Bradbeer. The application of AI in the military doesn’t end there. The UK’s Royal Navy wants to use AI to develop what it calls a "ship’s mind,” for its battleships. “This will enhance efficiency in the Fleet and allow fast, complex decisions to be made automatically, which will make warships and submarines safer and more effective in fast-moving, war-fighting situations,” the Navy states. UK think tank Chatham House says in a paper on AI and future warfare published in January 2017, that military and commercial robots of the future will incorporate some form of AI to enable them to complete missions on their own. “Banning an autonomous technology for military use may not be practical given that derivative or superior technologies could well be available in the commercial sector,” it writes. Autonomy on the battle field is still largely confined to the air domain and areas such as ordnance detection and disposal, although it is starting to creep into other areas such as mine warfare and anti-submarine warfare. Despite these advances, Chatham House says there is a large disparity between commercial versus military R&D spending on autonomous systems development. It says the defence industry is in danger of falling behind the commercial sector, which is throwing money at technologies like driverless cars. Either the way, greater autonomy and the use of AI on the battlefield is unlikely to go away. The benefits to the military are too significant to ignore these technologies purely based on ethical and moral considerations. And other militaries, namely Russia and China, are already developing battlefield technologies that will use AI to make decisions autonomously. 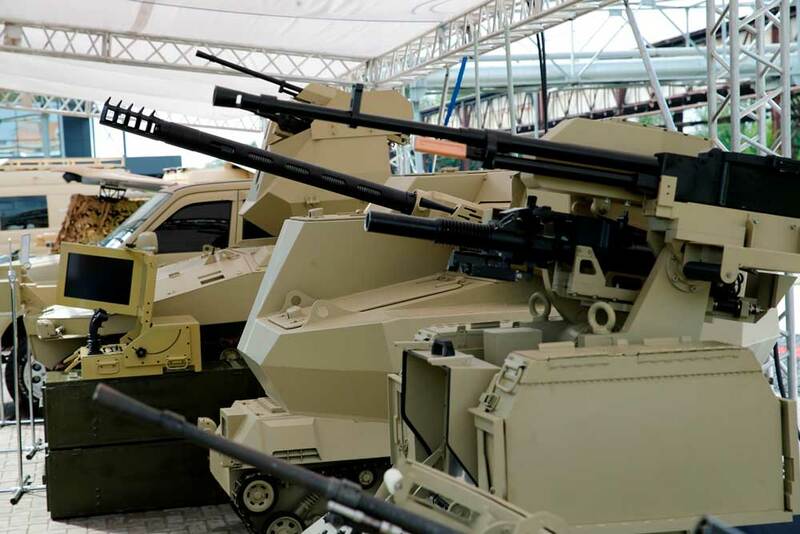 Russia’s Kalashnikov released images recently of combat robots with machine guns mounted on top. According to the state-owned TASS media agency, Kalashnikov plans to develop “a fully automated combat module” based on the technology.